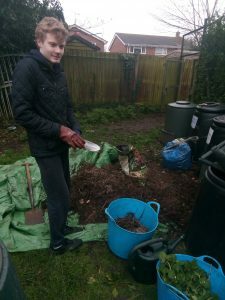 A guest post from Miles, who’s doing the volunteering section of his Silver Duke of Edinburgh’s award with us. 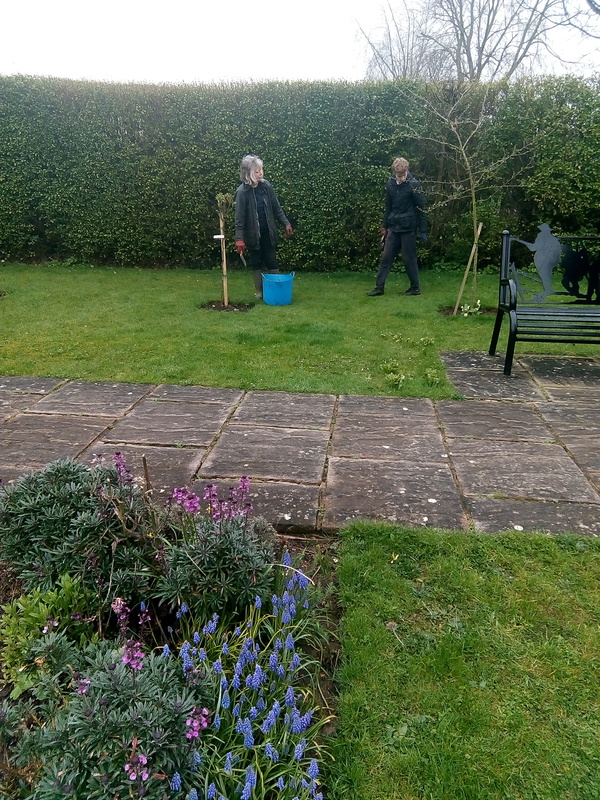 We really appreciated his work with us for his Bronze award last year; this year he’s taking the work and responsibilities quite a bit further, looking at why we ask him to do what we do, and how it relates to wider environmental and farming issues. This has the additional advantage of making us look at what we’re doing and thinking about the points he raises, too. 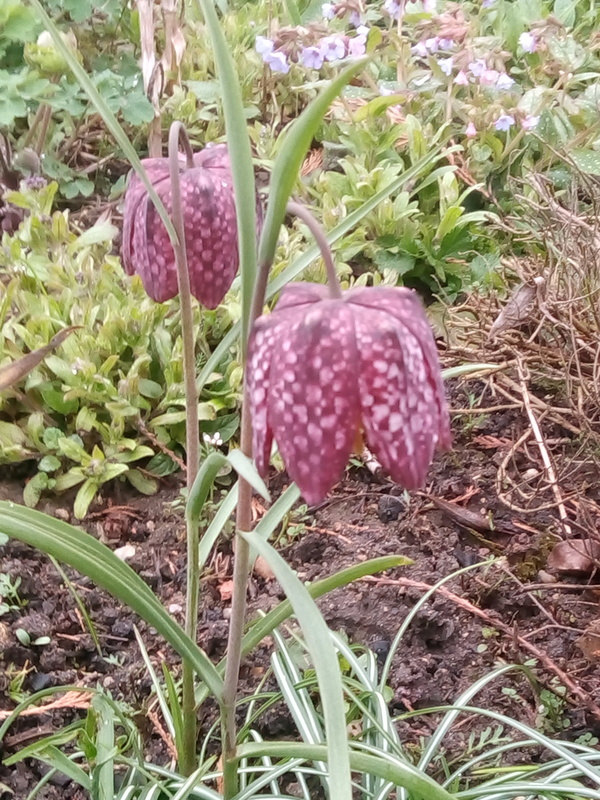 Snake’s head fritillaries used to be very common in wetland meadows, but they’ve become very rare as most (98%) meadows have disappeared over the last few decades. South Beds Friends of the Earth planted them in many of their wildlife sites around Leighton Buzzard and Linslade, but ironically this was the only site where they grew at all, round the heritage apple trees; and we had to move the apple trees because of vandalism, displacing most of the fritillaries in the process. 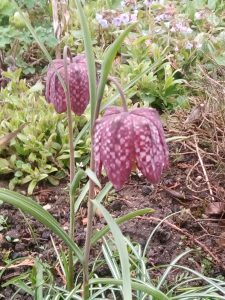 A few bulbs survived, which we replanted in beds near the bench, without much hope that they’d grow. But much to our delight, they’ve all come up, the ones closest to the bench are flowering, too (next to the lavender border). The others have multiplied, so should flower next year, and the ones nearest the Mentmore Road end in the same bed look as if they’ll be in flower next week, and white. And to cap it all, we found that a couple of them had survived in the bed around the plum tree near the Bowls Club hedge. We were very grateful for Miles’ help lifting the apples and planting the roses when they arrived unexpectedly early on one of the coldest, wettest days of the Christmas holidays – this was nothing to do with his DoE awards at the time, just mucking in when we needing everyone available to get all the roses safely in the ground at short notice. Much appreciated. And the plum tree itself is going to flower this year for the first time. Nice to have a bit of good news in this cold wet spring! 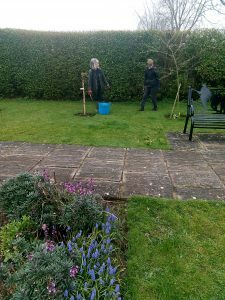 This entry was posted in Uncategorized and tagged compost, Duke of Edinburgh's Award on April 12, 2018 by Pippa Sandford.